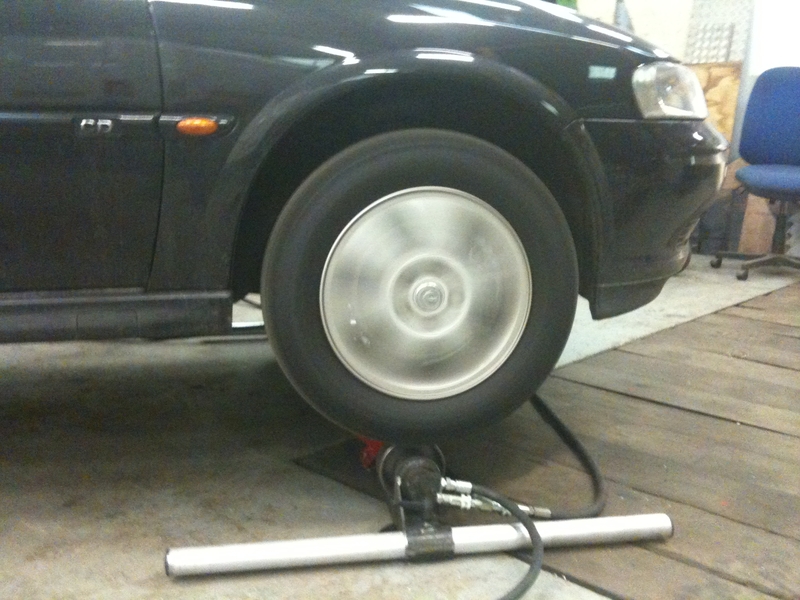 The wheel roller system or rolling-road enables a hero vehicles wheels to be rotated with speeds of up to 40mph within a studio environment, without the need for the vehicles engine to be running, which could possibly cause a problem to the crew, through engine fumes and the potential for the vehicle to overheat. 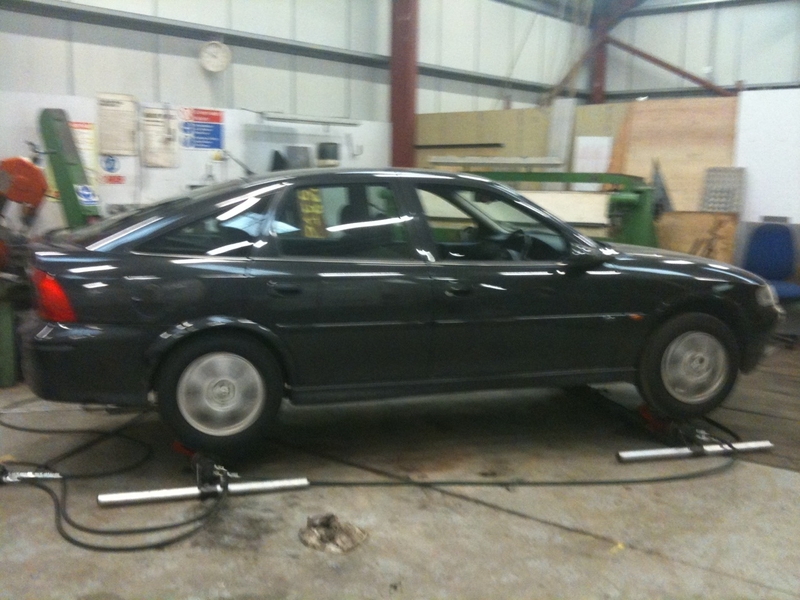 The wheel roller systems are hydraulically powered and offer a controlled variation of speed, the latest system also allows a degree of steering movements without causing the vehicle to become unstable on the rollers. 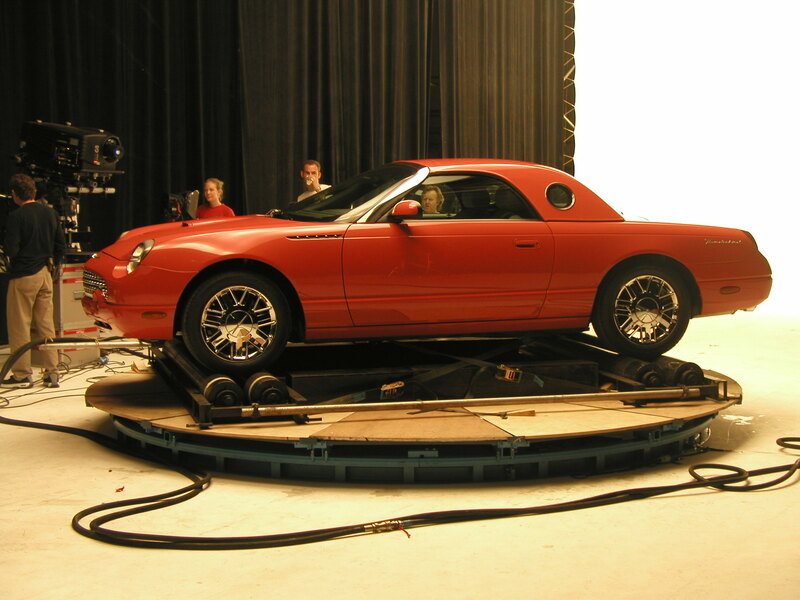 Single Wheel Rollers – The latest system is smaller and enables it to be easily disguised within a green screen and or set dressing. 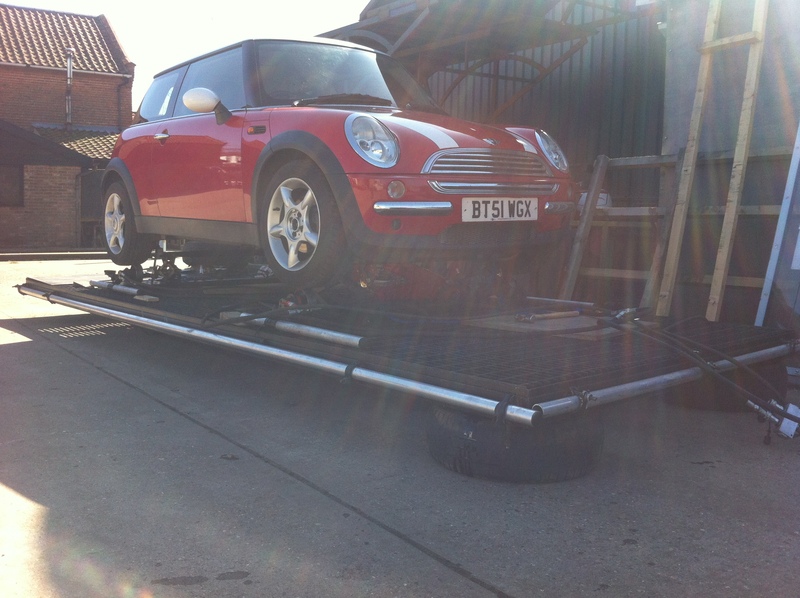 Large Wheel Rollers – Full sized system gives the appearance of a rolling road. 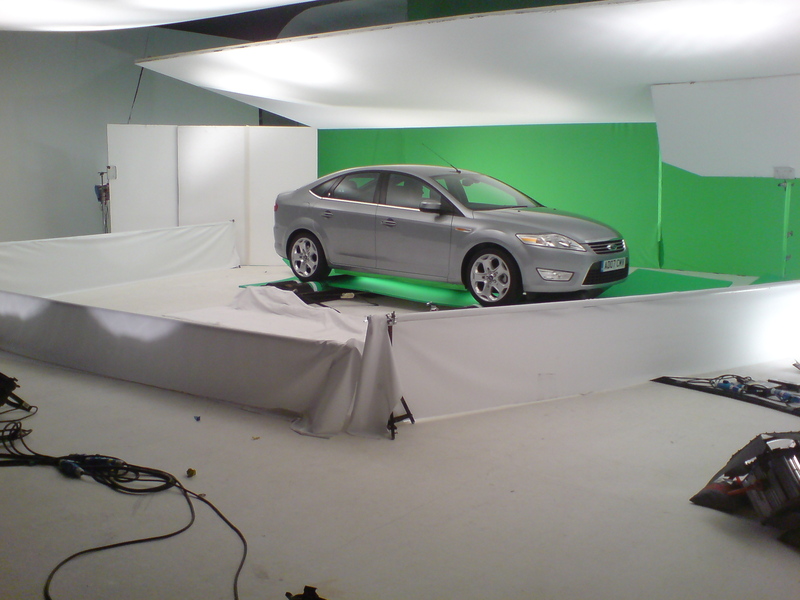 These systems have been used on a number of car commercials, inc Toyota, Ford, Nissan & BMW.